Grocery shopping gets complicated. You can’t walk up and down the aisles without finding at least five varieties of one product, each claiming to be the healthiest, highest quality, supercharged item out there. So which one is the best option for you and your family? Maybe we should instead say that picking the right products for your budget can get more difficult than your weekly shopping trip actually warrants. Because even though it is easy to get lost in the endless debate between organic products versus all-natural ones (and just what are clean foods, anyway? ), knowing what these hit terms and buzz words actually mean can help make the trip faster, easier, and much more beneficial to you and everyone else raiding your kitchen’s pantry. At its core, the word “organic” refers to a product that hasn’t come into direct contact with pesticides, herbicides, or growth regulators. These are the kinds of items you might also find at your local farmers markets, where preservatives aren’t necessarily needed to keep food fresh before they sell. Organic farming does do a great job of reducing pollution as well as reduces the risk of having a reaction to added chemicals. The downside? These same products can also put a massive dent in a carefully outlined budget, so be sure to consider that as you shop. So you’re less likely to see this term on any label in your regular grocery store, but if you decide to really get into some food science and questions of sustainable practices, it’s a good one to know. 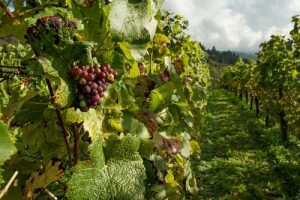 First coined by an Austrian philosopher, Rudolph Steiner, biodynamic practices combine a study of nature’s cycles and the ecosystem to produce a holistic version of organic farming. For your dinner table? All this means is that anything you purchase that has a label certifying it as having come from a certified biodynamic farm is going to have received premier time and attention throughout whatever process preps it for common consumption. The most common purchase you would probably make on this front would be a nice, aged wine. Again, these will usually be in a higher price range, so just plan to splurge if you’re sticking to that budget. Another popular word in today’s markets across the board: all-natural. According to the USDA, foods with the word “natural” on the label simply don’t contain any artificial ingredients or preservatives, and are minimally processed. This doesn’t cover all of the other things that a certifiably organic product does, but these items are still much better for both you and the environment. The thing to remember about this particular term is that it tends to be a catch-all in the industry. There is no strict set of guidelines from any agency that dictates what does and does not specify a natural food product, so be sure to review the entire label before purchasing. There might be something that doesn’t fall under this umbrella that you don’t want your family to consume! More often than not, additives in food exist to add color or flavor, or even to help preserve a product’s shelf life. And not all of these are bad; people have been using pickling and salting methods, both of which are technically additive processes, for years. Additives can end up in food at any time between production and when it lands on the shelf, but the long-term effects they can have on us aren’t always known. If you want to reduce the negative impact these substances can have on you and your family members, we recommend minimizing your consumption of overly processed foods. You won’t always choose the healthiest selections over all of the junk food out there, but it doesn’t hurt to know what the labels say! And here at Carolina Fibre, we’re all about keeping you informed about your environment so you can work with us to make it greener. Stay tuned to our blog for more info on recycling, sustainable living, and more!